Majjhima Nikaya. 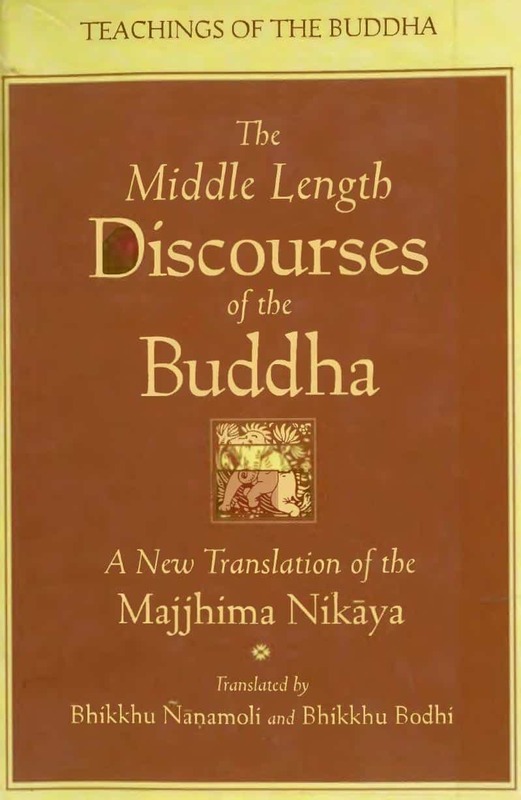 This comprehensive work offers a complete translation of the Majjhima Nikaya, The Middle Length Discourses of the Buddha, one of the major collections in the Sutta Pitaka or “Basket of Discourses” belonging to the Pali Canon. 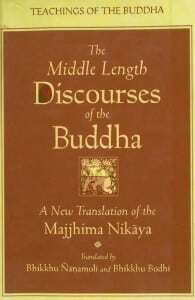 This vast body of scriptures, recorded in the ancient Indian language now known as Pali, is regarded by the Theravada school of Buddhism as the definitive recension of the Buddha-word, and among scholars too it is generally considered our most reliable source for the original teachings of the historical Buddha Gotama. This translation is an extensively revised version of an original draft translation made by the distinguished English scholar-monk, Bhikkhu Nanamoli (1905-1960). During his eleven years’ life in the Buddhist Order, passed entirely at the Island Hermitage in south Sri Lanka, Ven. Nanamoli had rendered into English some of the most difficult and intricate texts of Pali Buddhism, among them the encyclopedic Visuddhimagga. Following his premature death at the age of 55, three thick hand-bound notebooks containing a handwritten translation of the entire Majjhima Nikaya were found among his effects. I have edited this scan for a better quality/file size ratio and removed empty pages. It is still a huge file (about 1.406 pages/33 MB) Enjoy.